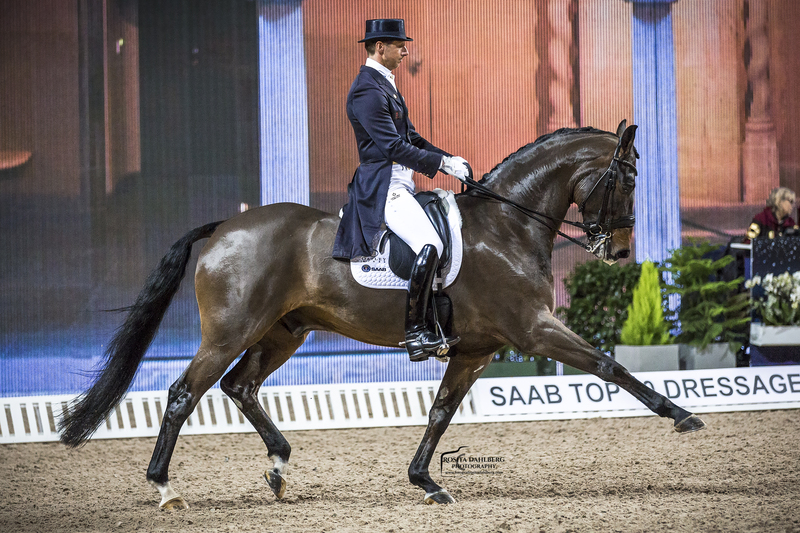 Ten of the world’s best dressage riders met last December at Sweden International Horse Show in the new concept SAAB Top 10 Dressage, with 240 000 eur in total price money. It was the second time the competition was held and it was a success with excellent riders, top quality horses and a very excited audience. Seven out of ten starts had results with over 80 %. Isabel Werth won the Grand Prix Freestyle final with Weihegold. 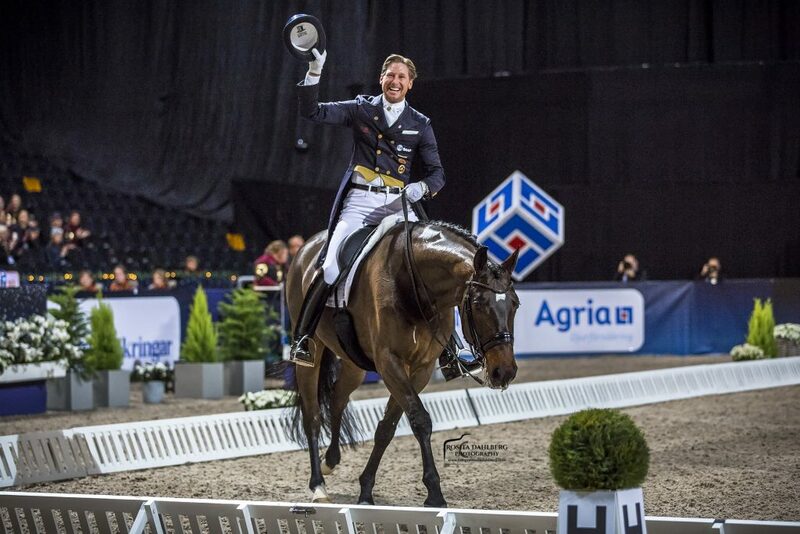 Patrik Kittel came second in place with his Delaunay, setting a new Swedish record with 85,875 % and taking home 50 000 eur. We met with him and spoke about the competition. You have arranged the SAAB Top 10 Dressage, how do you balance that with competing yourself? – It’s not very easy. The first days I focus on being around for the competition, helping out wherever I can. Then on the day of my own start, I try not to take on any other commitments. I have nothing scheduled for the morning, because I go into my own bubble. You need to be able to separate between being in focus and competition mode and being receptive to the audience, to the press and media and all others who need to talk to you. It’s very important. Being able to balance becomes even more important when you take on more commitments. Patrik, you set a new Swedish record, how does it feel? – It’s unbelievable. When you go in as the last one, and you hear the scores are going up and up and up! Then you are wondering how you are going to manage that. But when you come into the arena, and the crowd goes crazy, and you do not even realize what you are doing and the bell rings and you have to do your routine. Then you get into the rhythm and do the test and the horse just does everything. Then I came into the last centerline and the crowd starts clapping and you realize, wow, you are done! There was standing ovations when I rode out and that was very emotional for me, it’s been such a fantastic show and I am so happy that SAAB is helping us doing this. Is there a difference between riding at Sweden International Horse Show and competing at other great arenas in for example Germany? – The whole show is very nice, it’s a great arrangement and I think the sport is fantastic. The sport is the most important; everything else comes together because of the sport. Also, the SAAB Top 10 Dressage has become a big hit and today we really got to see top riders. When I come into the arena I only focus on my thing. So it doesn’t matter if I ride here, at the Olympics or at a local competition, it’s the same for me. Now the audience can participate and score the ride live through the Spectator Judging app, how do you feel about that? – I like it a lot! All new and innovative technique is great. Do you have a favorite part from the shows? – I think that Jean-Francois Pignon from France with his liberty dressage act is one of the best. It’s crazy that he can get 8-10 horses to run and turn without any equipment. The horses listen to him, he is like one of the pack and they have a communication I think is magical. For example, when he arrives he has maybe 8 horses in the truck. And he just opens the doors and every horse goes out and stands in line with the others, totally free. The dressage riders walk their horses with double lead with a chain and still do not have full control over the horse. How important is social media for your job? 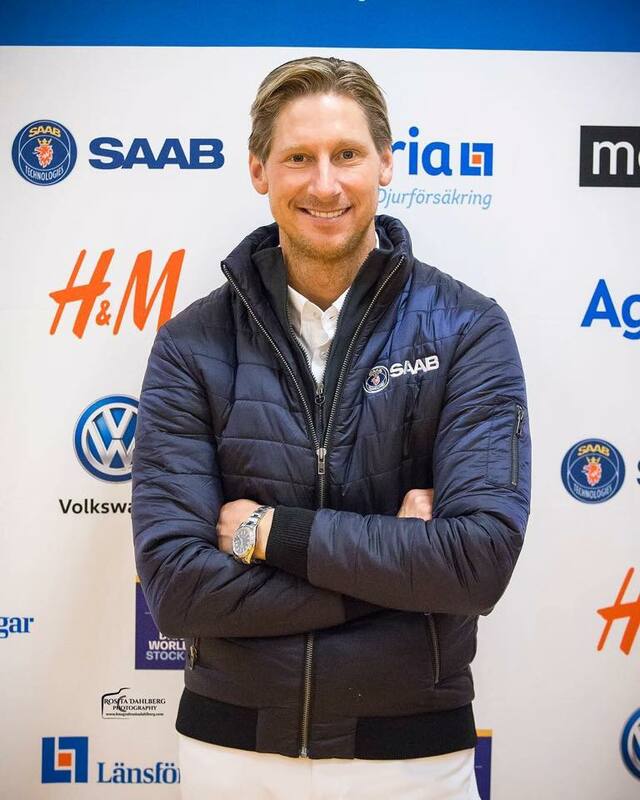 – I think that social media has a huge influence in equestrian sport. I have Instagram with many followers. But I control it myself and I do about one post every day and it takes 30 seconds. I like Instagram and I think social media is something very good, but at the same time you cannot take social media too seriously. In social media there are a lot of opinions and also a lot of cowards, who would not have the courage to stand for their opinions in the real world. I think that if you have an opinion on social media, you should have the same opinion in real life. So what I say is that I love social media, but you should not take it too seriously. – It’s important for me that everything you see on Instagram from me, or from my wife Lyndal, is genuine. What I mean is that we are that way, it’s our emotions and we do not post anything that isn’t us. I’m not trying to show a fake reality, but life as it is. I think that is important. Have you done any jumping? – Yes, I have competed up to 1,35 courses and I started with jumping. I still enjoy seeing and following the showjumping riders. You and your wife got a little while ago your first-born. How does it feel to become a dad? – It’s so funny, when you meet other new parents they say it’ so magical and fantastic. But you know, when you become a parent yourself it’s so magical you can’t grasp it. You can’t describe it; it’s a feeling like…you know it when you dare it. You can’t really get how cool it is to be a parent until you become one and your life perspective changes. For me it’s a great gift to be a dad and I will try to spend my life being the best dad I can be. 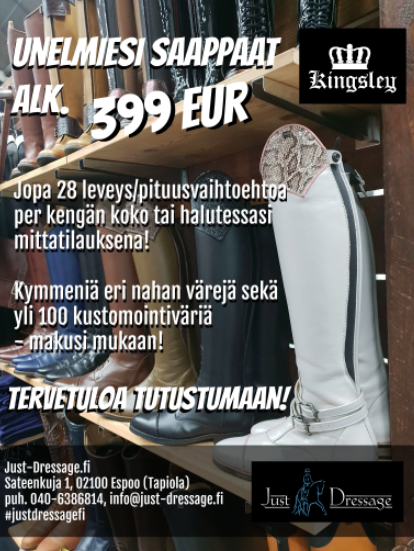 Tämä haastattelu on luettavissa suomeksi joulukuun RIDE:stä.